Dr. James Carter became Superintendent of Greene County Schools in June 2015. His career in education spans over 40 years. A native of Courtland, Alabama, Dr. Carter received his Bachelor's Degree, Master's Degree, AA Certification, Ed.S., and Ed.D. in education. He was selected as one of the top 25 educators that graduated from Alabama State University. Chose three times as district Superintendent of the year and elected President as School Superintendent of Alabama. 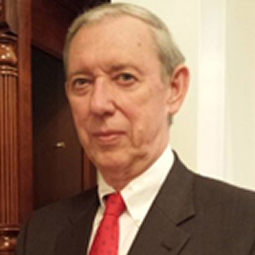 Dr. Carter served on the SSA Board for over 17 years and CLAS Board of Directors for over 20 years. He was chosen as the US Congressional Black Caucus National Leadership Award recipient for three consecutive years. Additionally, Dr. Carter has served on College for Every Student Board of Directors, and as the Vice-Chairman of the Board; National Consultant related to effective leadership in the public schools, and Superintendent of Schools in Selma City. Dr. Johni Cruse Craig, Ed.D., is the national Project Director of the Delta Teacher Efficacy Campaign (DTEC), a national initiative which aims to enhance student achievement by focusing on improving teacher effectiveness. She is leading the national effort to conduct teacher effectiveness training throughout the nation and coordinating "Call to Action" Town Hall Advocacy Sessions in 40 communities, where teachers, parents, administrators, community residents, the business community and other key stakeholder will join forces to determine actions needed to ensure teacher effectiveness and student achievement. She has extensive experience in leadership development, particularly in teacher efficacy. Throughout her 19-year career as an educator, she has held various key roles: classroom teacher, teacher effectiveness facilitator, curriculum and instruction specialist, assessment and data analysis leader, and process improvement and performance management leader. She has also performed duties related to professional learning and development, relationship development and organizational development. 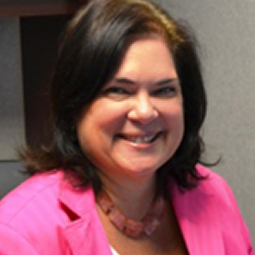 Since June of 2004 year Anna D. Diaz has served as Associate Superintendent of Exceptional Education and Multilingual Services for Orange County Public Schools. She oversees programs for over 64,000 students. Prior to that she was the Executive Area Director for the West Learning Community for Orange County Public Schools. She was born Anna Angelica Delgado in Brooklyn, New York, on October 2, 1959. Her grandfather, from Yauco, Puerto Rico, came to this country as a tomato picker in New Jersey; he brought his wife and seven children to settle in New York. Anna was the first of her family to graduate from college. 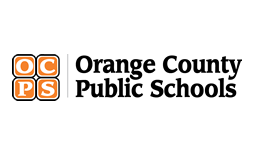 Since 2013, Dr. Diaz serves as one of five area superintendents in Orange County Public Schools. View the dissertation entitled "The Relationship Between Thinking Maps and Florida Comprehensive Assessment Test Reading and Math Scores in Two Urban Middle Schools". Bill East, Ed.D. is the Executive Director for the National Association of State Directors of Special Education (NASDSE), a membership organization representing states and federal jurisdictions responsible for implementing the IDEA. 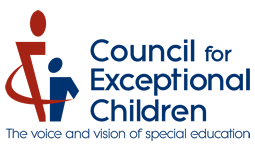 Dr. East provides leadership for the Alexandria, Virginia based organization that focuses on partnerships for assisting states to improve outcomes for students with disabilities. Dr. East career includes work as a high school teacher/coach, administrator in a state mental health facility, adjunct professor in higher education, and several roles within the Alabama Department of Education. He has worked on special education policy issues for years as Alabama's state director of special education and in his current role at NASDSE. Dr. East is the principal investigator for the IDEA Partnership and co-principal investigator for the Center on Online Learning and Students with Disabilities, two OSEP-funded centers. Additionally, he has key roles in the National Center for Systemic Improvement. He has a strong interest and commitment for promoting communities of practice, response to intervention, teacher/administrator quality and programs in transition and low incidence disabilities. 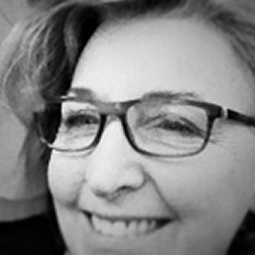 Professor Elizabeth B. Kozleski, Chair of Special Education at the University of Kansas, engages systems change and research on equity and justice issues in inclusive education and professional learning. Recent awards include the UNESCO Chair in Inclusive International Research in 2005, the TED-Merrill award for leadership in special education teacher education in 2011, and the Scholar of the Century award from the University of Northern Colorado in 2013. She is the recipient of more than $30 million in federal and local research grants. Her research interests include the analysis of systems change in education, how teachers learn in practice in complex, diverse school settings, as well how educational practices improve student learning. 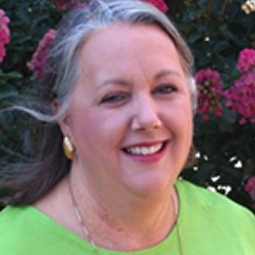 She has senior leadership roles on four projects: SWIFT, CEEDAR, Emergent Literacy Curriculum for Students with Intellectual Disabilities in General Education Classrooms, and Special Education Leadership in System-wide Equity and Access for Students from Culturally and Linguistically Diverse Backgrounds. Professor Kozleski co-edits a book series for Teachers College Press (TCP) on Disability, Culture, and Equity with Professor Alfredo Artiles. Her recent books include Ability, Equity, and Culture (with co-author Kathleen King Thorius) published by TCP in '14 and Equity on Five Continents (with Alfredo Artiles and Federico Waitoller) published in '11 by Harvard Education Press. 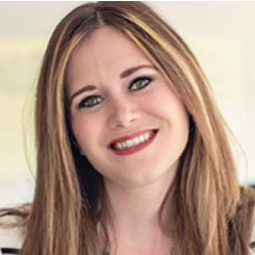 Jillian Livingstone, Ph.D., is the Director of Special Education for Global Psychological Services and an adjunct professor for the Project ASD graduate and certificate program at UCF. Dr. Livingstone has worked as an exceptional student education teacher in K-12 settings, served as the Project Coordinator of the National Urban Special Education Leadership Initiative, and has served as the director of special education for an urban school district in Michigan. 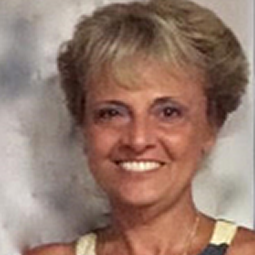 She completed her Bachelor's of Arts degree at Michigan State University in the areas of Special Education, with a focus on Learning Disabilities, and Elementary Education. She completed her Master's in Education degree and Doctorate in Philosophy degree at the University of Central Florida (UCF), both with a concentration in the area Autism. Additionally, Dr. Livingstone has co-authored articles on preparing urban special education leaders, mentoring doctoral scholars, and quality indicators for classrooms serving students with Autism. She has conducted numerous national, state, and local presentations concerning preparation of urban Special Education leaders and implementing evidence-based practices for students with Autism. Dr. H. William (Bill) Heller is currently Dean and Professor of the College Education and Director of the Bishop Center for Ethical Leadership and Civic Engagement at the University of South Florida St Petersburg (USFSP). 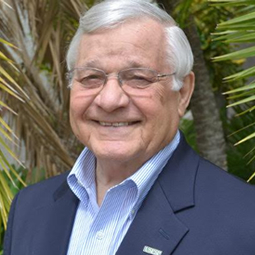 Prior to these appointments, Dr. Heller served as CEO and Dean of the USFSP from 1992 - 2002 and as a member of the Florida House of Representatives from 2006 - 2010 representing House District 52. He holds a doctorate in Special Education and School Psychology from the University of Northern Colorado. In addition to his extensive University experience, Dr. Heller also served at the federal level as a Branch Chief and Division Director for the Division of Personnel Preparation for the Handicapped within the US Office of Education (now the U.S. Department of Education). Dr. Heller currently serves as a Board Member for Family Resources, Suncoast Hospice Institute, St. Petersburg Preservation, the Advisory Board for Tampa Bay Watch, Chair the Pinellas Cultural Foundation, Inc. and is Treasurer of the St. Petersburg College's Institute for Strategic Policy Solutions. He is an Honorary Life Member of the Great Exploration's Board and is a Board member Emeritus of the Mahaffey Theater Foundation. Dr. Heller is a veteran of the U. S. Army serving as a paratrooper with the 82nd Airborne Division. He and Jeanne have been married for 60 years; have one son and two daughters and three grandchildren. Dr. Bambi J. Lockman currently serves as an Educational Policy Consultant for the Office of Early Learning, Florida Department of Education. She is also the President and CEO of Mag7 Consulting, LLC. From 2011- 2014 she was the Deputy Superintendent for Instructional Services for Volusia County School District, Florida. 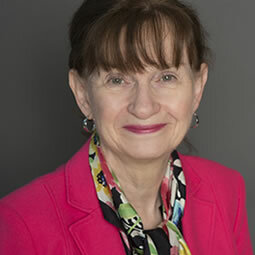 Within her scope of work, she was responsible for the planning and coordination of PreK-12 curriculum and school improvement programs; federal and state grant funded programs, assessment and accountability, professional development, career technical education, online learning, alternative education, athletics and safety as well as exceptional student education and student support services. Jennifer Porter-Smith is the Executive Director of Nap Ford Community School, Inc., a public charter school network focused on the education of Pre-K through 8th grade students in Orlando's Urban Corridor. She began her career as a research professor specializing in the neurosciences. Dr. Porter-Smith earned a Doctorate degree in Physiological Psychology from the University of Florida and completed postdoctoral work studying developmental neuroanatomy and neuropharmacology at the University of Pittsburgh. She made the transition into education as an Administrator with Orange County Public Schools. She has earned distinctions in her work on closing the academic achievement gap and promoting family involvement. 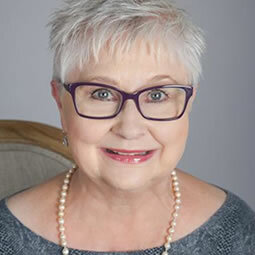 Deborah A. Ziegler is the Director for Policy and Advocacy and Professional Standards at the Council for Exceptional Children (CEC), one of the world's premier education organizations. She has broad public policy experience at the international, national, state, and local levels.Dr. Ziegler works to further the overall goals of CEC through improving policies affecting exceptional children and youth and the professionals who work with them, at all levels of government. In her position, she is responsible for providing leadership and direction for the association's public policy agenda, including policy development, implementation, and analysis; information collection and dissemination; and maintaining a grassroots network of Children and Youth Action Network (CAN ) Coordinators. She works closely with the White House, the United States Congress, and the Federal Agencies including the U.S. Department of Education to advocate for policies that guarantee a free appropriate public education for children and youth with disabilities and gifts and talents. Dr. Ziegler serves on the board of and works with several international disability organizations, whose focus is the implementation of the UN Convention on the Rights of Persons with Disabilities. She is the recent editor of Inclusion for ALL: The UN Convention on the Rights of Persons with Disabilities, a publication of the IDEA program of the Open Society Institute. Dr. Ziegler has worked since 1994 in providing technical assistance and training on behalf of the Open Society Institute and other nongovernmental/governmental organizations in Central and Eastern Europe, Central Asia, Africa and the Middle East to assist programs in implementing policies and practices in early childhood education and inclusive education for children with disabilities. A 25-year educator, Dr. Barbara Jenkins currently serves as District Superintendent for Orange County Public Schools in Orlando, Florida. As an executive cabinet member of a large urban district with over 21,000 staff members serving 179,000 students she serves as the Superintendent's designee, supervises five area superintendents and oversees the division of Teaching and Learning. Previously as chief of staff, she oversaw Human Resources, Public Relations, Labor Relations, Strategic Planning, and served as the chief labor negotiator for the district. While chief of staff, she also coordinated executive functions for the district and provided direct support to the school board. From 1998-2005 she was the Assistant Superintendent of Human Resources for the 120,000 student district, Charlotte-Mecklenburg Schools in Charlotte, North Carolina, where she was responsible for Employee Relations, Licensure, Benefits, Information Systems, Compensation and Employment. During her time in Charlotte, she was recognized in Urban School Reform: Lessons from San Diego (Harvard Education Press, 2005) for innovative strategies to increase equity among schools. 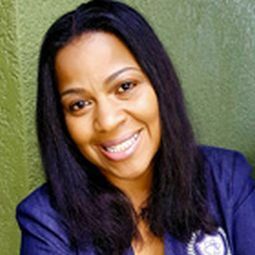 Dr. Jenkins previously served as Senior Director for Elementary Education in Orange County, supervising principals and schools.Ã‚ She has also been a classroom teacher, staff developer and principal. Her undergraduate and doctor of education degrees were received from the University of Central Florida. She is a fellow of the Broad Superintendents Academy. For the U.S. Department of Education, Office of Special Education Programs (OSEP), Washington, D.C., Little served as Education Program Specialist and State contact person where he was responsible for monitoring States' implementation of the Individuals with Disabilities Act (Part B). While fulfilling the responsibilities of the position, he was honored with the 1994 Leadership Award from the US Department of Education. Prior to joining OSEP, he worked for several years with the Tennessee Department of Education, Nashville, as an Education Specialist, Secondary Education Staff and Secondary Education Coordinator. Also within the State of Tennessee, Little served as Director of Special Education for the Bradley County Board of Education, (Bradley, TN) and Cleveland City Schools, (Cleveland, TN). While Director of the Cleveland City Schools program, the governor recognized the system as an A+ system, a highly coveted recognition. In 1984 the Honorable Lamar Alexander, Governor of the State of Tennessee, named Little Aid De Camp, Governor's Staff. Dr. Carmen B. Marinelli is a Program Professor in Educational Leadership at Nova Southeastern University with over 35 years in K-12 education. Prior to joining Nova Southeastern University full time, Dr. Marinelli was also an Adjunct Professor in Educational Leadership. She has been a teacher, assistant principal, middle and high school principal, as well as Assistant Superintendent for Curriculum and Instruction and Leadership Development in Miami Dade County Public Schools (MDCPS), the fourth largest school district in the country. She completed her career in K-12 as a Region Superintendent for MDCPS with over 70 schools in her region. Her undergraduate degree was in English with a minor in Drama and Secondary Education from Barry University, Miami, FL in 1976. She continued her education at the University of Miami with a Masters of Arts in English. 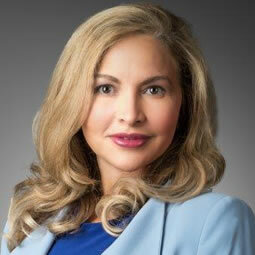 Carmen then attended Nova Southeastern University to receive her certification in Administration and Supervision and continued on at Nova to receive her Doctorate in Educational Leadership. 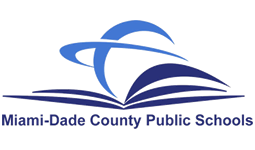 In 2000 Dr. Marinelli was named the Miami- Dade County Public Schools Principal of the Year. Throughout her career in education she has worked with mentoring programs, professional development, dual language programs and community partnerships. Dr. Marinelli's work with mentoring of educational leaders has assisted many in furthering their career goals. 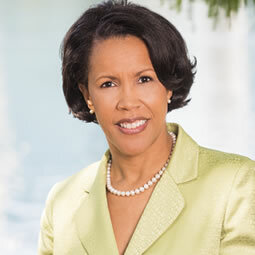 She is on the School Board for Christopher Columbus High School in Miami on the Academic Committee, the Board of Trustees at Chaminade- Madonna Preparatory School, the Hispanic Advisory Board at Nova, and is the Scholarship Chair of the Alumni Board at Barry University and a member of St. Timothy Catholic Church, Miami. 2005-2015. The NUSELI project is ever grateful for the service of Dr. Riley. We are saddened by his passing. 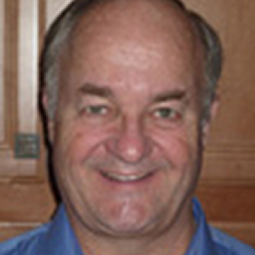 David Riley, Ph.D., is Executive Director of the Urban Special Education Leadership Collaborative, a national network of education administrators responsible for policy, procedural, and programmatic decision-making affecting children and youth with disabilities in urban school districts. Initiated in the Spring of 1944 under the auspices of Education Development Center, Inc., in Newton, Massachusetts, more than 100 large, medium, and small urban school districts are now enrolled as members. The Collaborative is a national version of the Massachusetts Urban Project, a state-wide network that Dr. Riley founded in 1979 and that continues to provide leadership development and cross-district networking opportunities for special education leaders in that state. For more than 30 years, he has served as an organizational and management consultant to local, state, and federal education agencies. 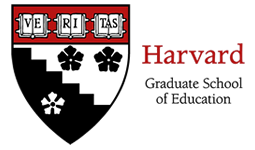 Dr. Riley serves in a leadership position on several federally-funded initiatives and, for the past 16 years, has served as Educational Co-Chair of the Summer Institute on Critical Issues in Urban Special Education at the Harvard Graduate School of Education. For the past 38 years, Dr. Schneider has dedicated his professional career to the advancement of services to students with disabilities. He attended Tulane University for his undergraduate studies and then Florida Technological University (presently University of Central Florida) where he obtained a master's degree in Learning Disabilities. 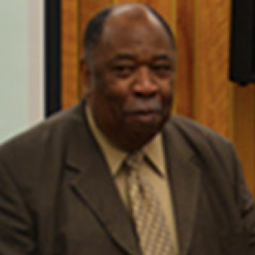 He began his teaching career in Atlanta, Georgia supporting students with significant learning disabilities and emotional disorders. In 1979, he was a recipient of a B.E.H. 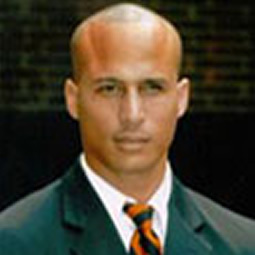 training grant and attended the University of Illinois at Champaign-Urbana where he received his doctorate in School Administration with an emphasis in Special Education. For two years he worked as an Assistant Director for exceptional education and student services in nine school districts in Illinois for the Belleville Area Special Education District. 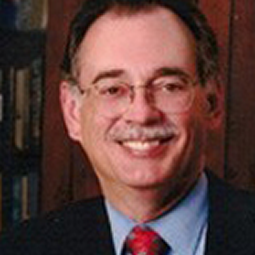 In 1983, Dr. Schneider moved to Orlando Florida where he served until July 2011 as a special education administrator. Early in his administrative career his responsibilities spanned from school based administration in a K-12 special school for severely disabled students and hospital homebound programs, supervision of low prevalence programs and oversight for federal project budgets and grant writing. 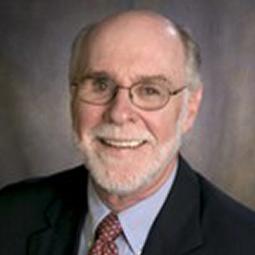 In 1991, Dr. Schneider was appointed Director of Exceptional Education and Student Services programs where he provided oversight for curriculum and instruction, transition services, Positive Behavioral Support project, the development of the RtI/MTSS process and the supervision of psychologists, social workers, compliance specialists, instructional coaches and other personnel. From 2000-2006, he received an appointment and served on the Florida Committee for Comprehensive System for Personnel Development and from 2007-2009 received an appointment and served on the Florida Department of Education/Exceptional Education Department Task force on Transition Services. 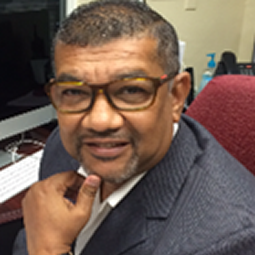 Since 2006 he has served as an Advisory Board member and mentor for the National Urban Special Education Leadership Initiative at the University of Central Florida. After his retirement from Orange County Public Schools in 2011 Dr. Schneider has supervised student interns at the University of Central Florida, assisted parents and school districts as a private consultant, continued since 1999 as a review board editor for the Journal of Special Education Leadership, in 2012 was an invitee by the U.S. Department of Education, National Center for Special Education Research to participate in a technical working group, Improving Outcomes for Adolescents with Disabilities and has volunteered as the Program Advisor for a work training program, Recognizing Abilities and Inclusion of Special Employees. Dr. Winston A. Whyte is a 30-year educator who has made commendable contributions to the Jamaican and American communities. 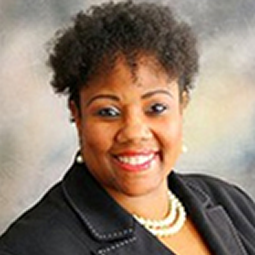 Dr. Whyte's career path includes serving as a teacher, Assistant Principal, Principal, and Administrative Director supervising principals and schools. His graduate degrees have been in the area of Leadership and his diverse areas of expertise include Special Education where he has a passion and has been an international presenter. As a Founding Member/Past President of the Jamaican Association of Miami Dade Educators for the past 21 years, Dr. Whyte has contributed through resources, materials, scholarships and workshops. He serves as a member of many boards, and in 2007 as Principal of Howard D. McMillian Middle School he led his school to become the first secondary school in the State of Florida to receive the prestigious Governor's Sterling Award. Dr. Whyte has been given numerous accolades and awards, including the Consulate General of Jamaica Community Service Award, Principal of the Year for Miami-Dade County Public Schools, and State of Florida Middle School Principal of the Year for 2008. Dr. Jonathan McIntire has served as a teacher and special education administrator in both urban and rural public school systems for over thirty-five years. He has also served as the project coordinator for the University of Central Florida's graduate program producing urban special education administrators. The last decade he focused on building educational services for children on the autism spectrum, as well as, those with emotional and behavioral disorders. He has been a strong advocate for quality education services for students with disabilities and those as risk of school failure for other reasons and built an alternative off campus and community based high school that reduced the drop-out rate in a former high school to 1%. He has a reputation for working respectfully and collaboratively with parents of children with disabilities as well as building administrators and their teams in problem solving complex issues to ensure the students have the specialized instruction they need and their teachers have the resources and knowledge necessary to teach them well. 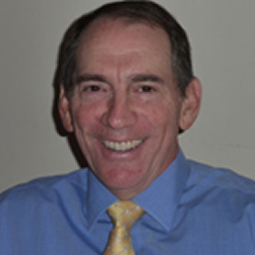 Dr. McIntire has one Masters in Education Degree from Boston College and a second from Teachers College, Columbia University. His PhD is in Education Policy and Administration was obtained from the University of Michigan and his internship was with a US Congressional subcommittee in Washington, DC in the area of disability policy. He has served as a special education teacher for eight years, a public school Special Education Administrator for twenty-two years in Vermont and Florida and a State Consultant in Special Education for five years. Activity nationally, Dr. McIntire served from 1998-2000 as the President of the International Council of Administrators of Special Education, Inc. (CASE). He also served as the president of two other national associations in previous years. Dr. McIntire has been a leader in building inclusionary services for all children with disabilities in the public school systems where he has worked, has consulted nationally throughout this career and has received numerous awards for his work over time.